Three couples. One weekend. Everything is about to change. Lily and Charlie have separated after twenty-six years of marriage. Now, with their divorce due to come through in a matter of months and her wedding to the dependable Joe imminent, Lily decides to get the family together for one last weekend in Land's End, their old summer home by the sea. Lily has to break some news to Charlie, her daughter Polly and son Thomas - news she knows they're not going to be happy about. But as the family make their way to Land's End with their new partners, Lily's best laid plans are about to go awry. 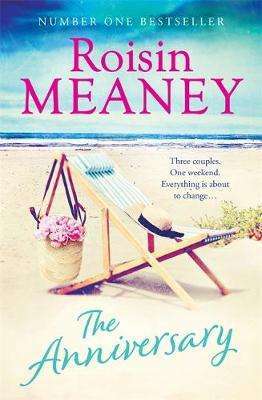 As Charlie's much younger girlfriend Chloe guards her own secret, Polly seems intent on sabotaging her seemingly perfect relationship, while Thomas wrestles with a decision he knows could break his family apart. And amid all the drama, they've all forgotten that this weekend also just happens to be Lily and Charlie's wedding anniversary ... Will all the couples survive the weekend intact?